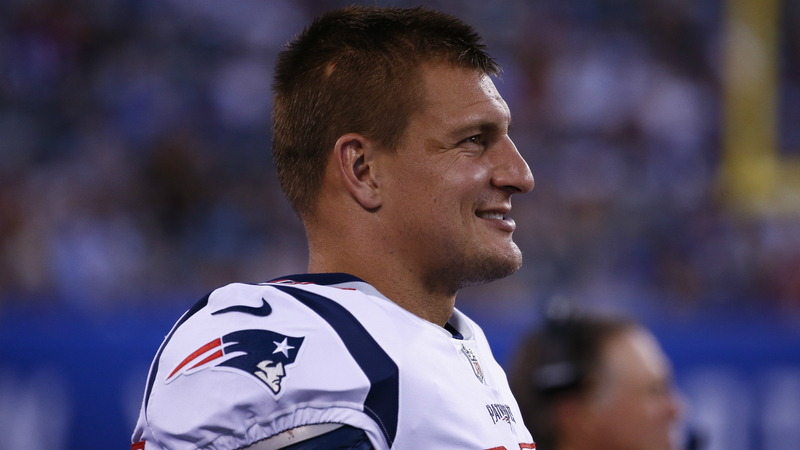 Patriots tight end Rob Gronkowski is delighted with his new revamped contract ahead of the NFL season. Gronkowski has two years remaining on his deal but the Patriots star expressed frustration with the contract during the offseason as he skipped voluntary workouts. The two-time Super Bowl champion and five-time Pro Bowl player reportedly includes $4.3 million in additional incentives this year. Preparing for New England’s opening game against the Texans on Sunday, the 29-year-old said: “I mean it didn’t weigh on me at all. Gronkowski added: “I’m super satisfied with my situation and if I wasn’t I mean I’d try and pull a move like they do, which works out. They get rewarded for holding out.